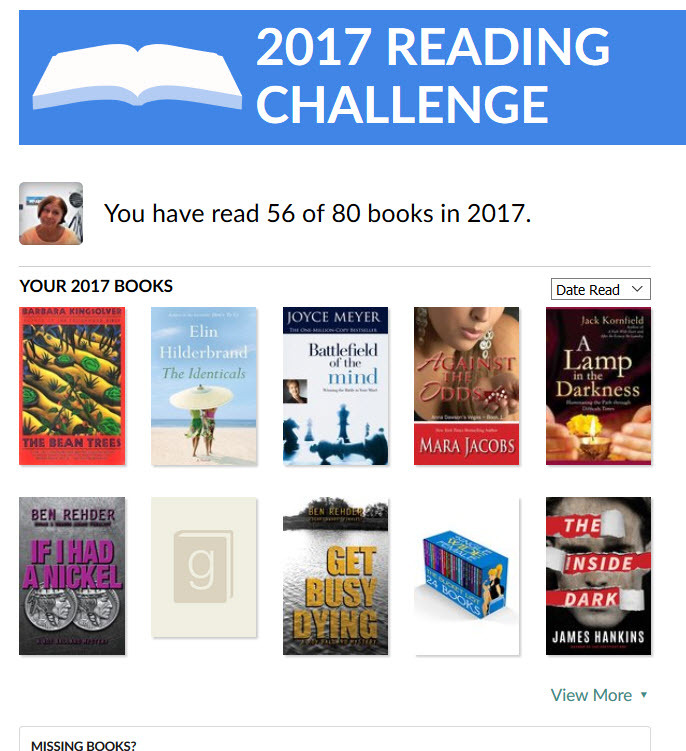 This is the third year I’ve participated in Goodreads’ self defined reading challenge. I’ve yet to meet (or exceed) prior challenges. But each year I keep increasing the goal, hoping I will push myself to do more reading. I was very surprised to realize I didn’t get very close to my goal this year. And even more surprised to realize I didn’t read as many books this year as I did last year. However, I did pretty much land smack dab middle between the first two years in actual books read. And this year I added a few other activities to my schedule (yoga & mah jongg). So I suppose I shouldn’t be too disappointed.